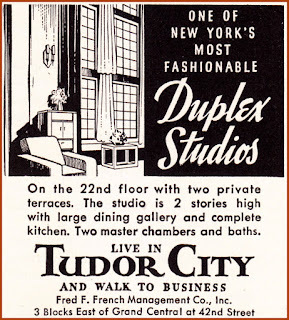 They were originally billed as Duplex Studios, but today everyone calls them the Penthouses. 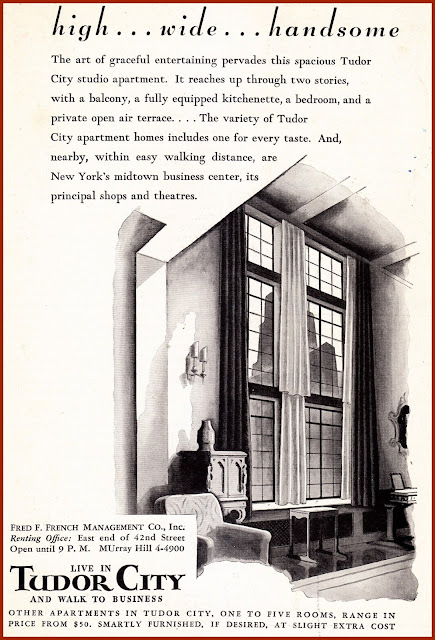 Few apartments in Tudor City are as enviable, what with their 18-foot double-height ceilings, fireplaces, staircases, private terraces and spectacular city views. Tudor City's architect, H. Douglas Ives, was inspired by 19th-century Parisian ateliers, though they really seem more like Hollywood versions of fantasy Manhattan apartments. 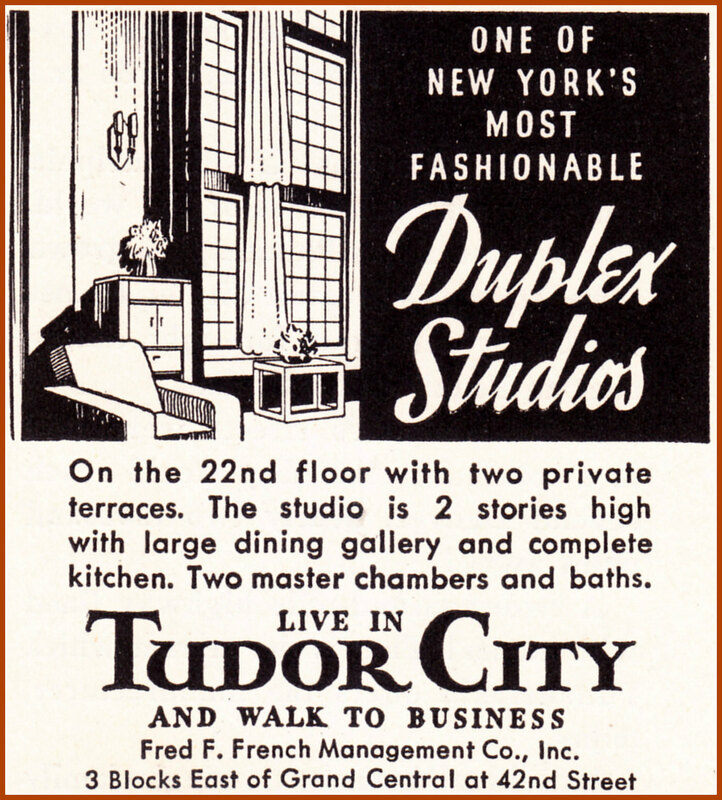 There are fourteen of them: two in Prospect Tower, two in Tudor Tower and ten in Windsor Tower -- Windsor was far enough away from the noxious First Avenue slaughterhouses to allow for eastern-facing apartments as well as wrap-around penthouses ringing its rooftop.